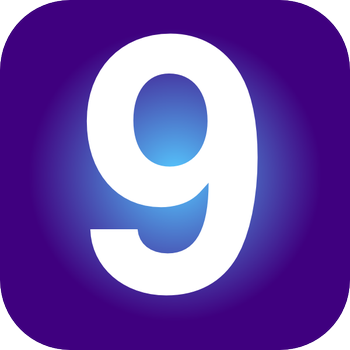 In the Internet age of automotive journalism, it has become something of a cottage industry to scan and post press brochures and internal training and information material ahead of their official release. This author certainly recalls the pivotal role played by World Car Fans in leaking the Lexus CT 200h press brochure a week ahead of the car’s 2 March 2010 world debut at the Geneva Auto Show. 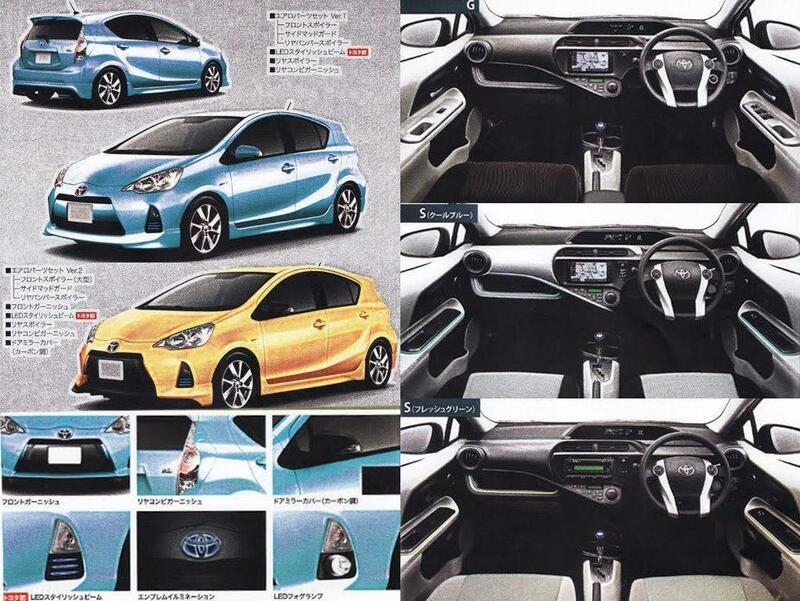 Now Carscoop has similarly obtained, via tipster i-Ryuji, 33 pages’ worth of scans of what appears to be illustrations and specifications of Toyota’s upcoming Aqua a.k.a Prius c, some of which also appear in this article. 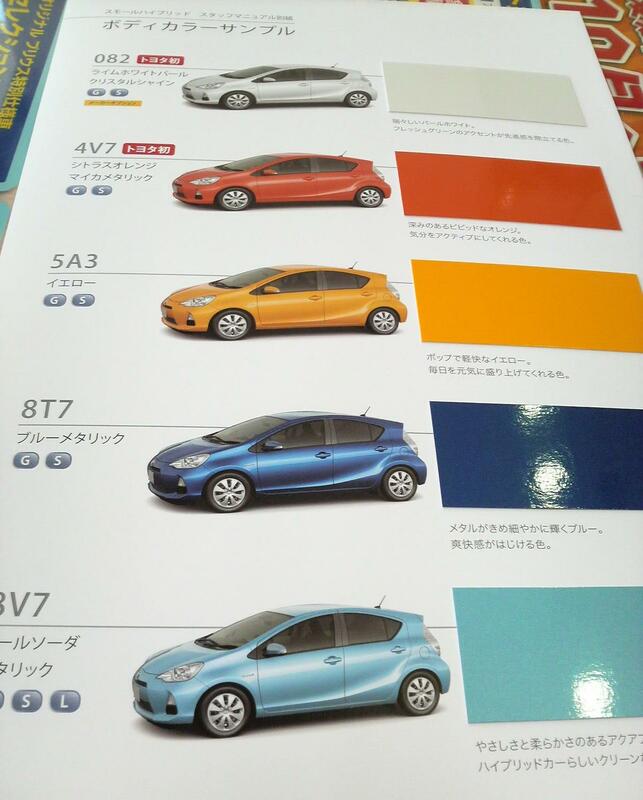 Curiously, none of the otherwise detailed illustrations nor any of the Japanese text show any sort of badge or model name for this clearly hybrid Toyota, but there’s a 90+% likelihood that it’s Prius c / Aqua we’re looking at. 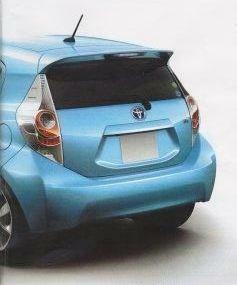 Accurately described by Sebastián Blanco of AutoblogGreen as looking like a Toyota Prius / Nissan Leaf mashup with the barest hint of the original Prius c concept, the newest Toyota hybrid is attractive enough for a B-segment 5-door hatchback (except for the overwrought taillights), if lacking the absolute aero hybrid look of its big brother Prius. 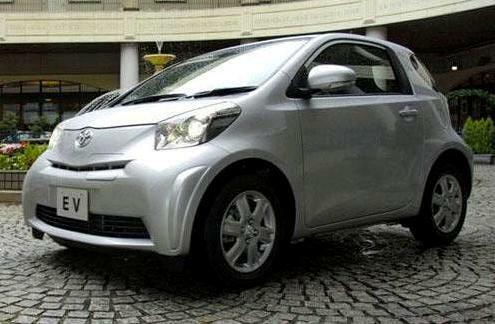 Yet another image reveals specifications that include a 2550mm (100.4″) wheelbase that matches the outgoing Toyota Yaris sedan’s (as opposed to the 3rd-gen Yaris hatchback’s 2510 mm/98.8″), a 3995mm (157.3″) overall length, 1695mm (66.7″) width and 1,445mm (56.9″) height. 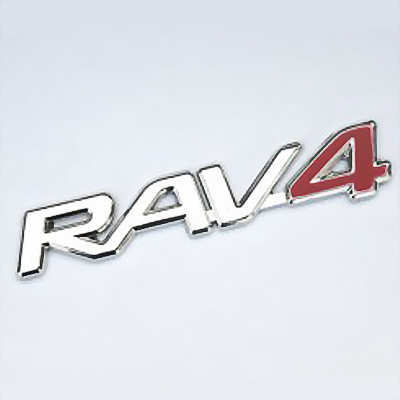 Mention of a 1496cc 4-cylinder engine could be a tacit confirmation of this author’s earlier prediction that Prius c / Aqua would use the 1NZ-FXE 1.5-liter 4-cylinder powertrain from the 2nd-generation Toyota Prius, itself a hybridized version of the 1NZ-FE engine used on all past and current Toyota Yaris models sold in North America. Unless, of course, Toyota’s North America operations decide on a zippier Prius c powered by the current larger Prii / Lexus CT 200h’s 1.8-liter 2ZR-FXE powertrain. As to the Prius c / Aqua’s debut, Carscoop is predicting a world debut at the 2011 Tokyo Motor Show this coming December (where it threatens to get lost amidst the expected FR-S / BRZ hoopla) an on-sale date of January 2012 and a North American debut in Detroit (a possible world debut for the Prius c-badged version) that same month. 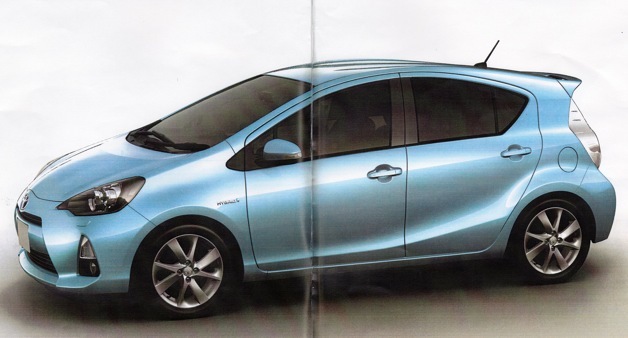 In an unexpected 180-degree turn from their January 2011 prediction, Autocar now believes that Prius c stands a chance of being sold in Europe alongside the expected Yaris HSD, and predicts a European debut at the 2012 Geneva Auto Show in March. Curious, given the potential for cannibalization from the cheaper (yet, probably, more profitable in Europe) hybrid Yaris. 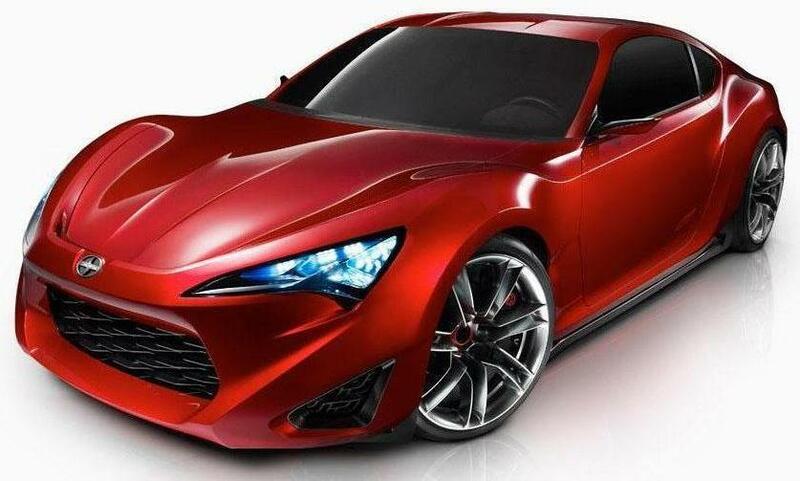 Within eight or nine days of clandestinely listing the FR-S on Scion.com’s homepage, the brand received requests for information from 3,000 hand-raisers. First, choose a favorite among 12 exterior colors: White, Silver, Light Blue, Green, Yellow, Red, Burnt Orange (this author’s favorite), Dark Red, Dark Blue, Grey, Brown and Black. The second question asks for your preference between Manual (definitely!) or Automatic (sacrilege!) transmissions. As to the “Scion Slates First Detroit Show News Conference” part of the title, we’re not sure whether that means it’s the first press conference of the 2012 show (on Monday 9 January) or whether it’s Scion’s first-ever Detroit Auto Show press conference (we suspect the latter), but it unquestionably marks the North American debut of the production FR-S (technically the Scion-badged production version’s world debut). By the way, we love the “Bringing the sport back to the car” ad slogan for Scion FR-S. Very apropos. Most importantly, though, be sure to enter your color and transmission survey preferences by visiting frs-scion.com and join the 3000-strong and counting Scion FR-S fans that will be in the loop for news on this game-changing Toyota / Scion.